‘You’re bigger than you were before,’ said Mama. Pip the panda looks forward to being big, but her gentle, wise Mama tells her she is bigger than she was, and goes on to tell her just how she has grown – and how their love has grown, too. 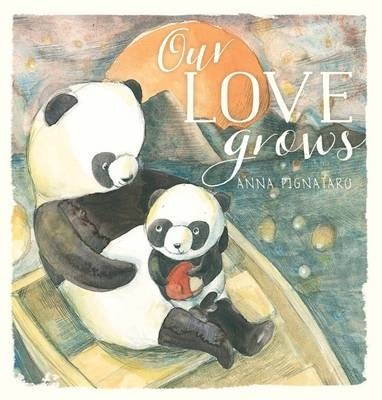 This gentle, lyrical picture book is a celebration of love and parent-child bonding, told partly in rhyming prose, and with just a line or two of text per spread. This allows the simple but divine watercolour illustrations to take centre stage, with the love between mother and child obvious through their facial expressions and the range of activities they do together: playing, exploring, resting and admiring the world around them. A feature of both text and illustration is that Pip’s gender is not mentioned, an ambiguity which allows the child reader to choose (or not to choose) whether (s)he is a girl or boy. Perfect for bedtime, cuddle time or any time reading.